Lynn handles the day to day operations of the agency including premium collections and financing. Prior to joining PIC, Lynn was the premium accounting manager of The Medical Inter-Insurance Exchange of New Jersey and an account executive at Cananwill Premium Finance Corporation. Lynn received her MBA from St. Joseph's University and is a graduate of Muhlenberg College with a degree in accounting. Lynn lives in Erdenheim, Pennsylvania with husband Tom and children, Aidan, Claire and Kevin. 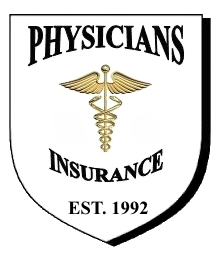 Service manager for a number of years at Physicians Insurance Consultants. JoAnna handles all aspects of servicing our clients policies and needs. JoAnna is a Villanova graduate and lives in Erdenheim with husband Dave and twin children. Angie handles servicing all aspects of policies. 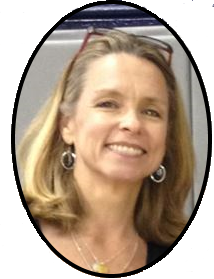 Prior to joining PIC, Angie and had previously been an office manager for a large company. Angie organizes and runs the annual "PJ Lawn Memorial Blood and Donor Drive." This drive is one of the top Red Cross Donor Drives in the area. To date at least two people (that we are aware of) have been identified as a bone marrow "match" and have donated marrow to help save a life as a result ofAngie's efforts. Angie also organizes a team that raises funds for pediatric cancer research as well as participates in CHOP's annual Parkway Run. Pat has been a liensed medical malpractice insurance broker since 1988. In 1992 Pat founded Physicians Insurance Consultants, an independent brokerage, in order to offer physicians more options than were previously available to them. In addition to handling the malpractice insurance for thousands of physicians over the years, Pat has also spoken to numerous hospital medical staffs and county medical societies regarding risk management and insurance. Pat has been instrumental not only in attracting medical malpractice carriers to states but also in the formation of medical malpractice insurance carriers. Pat is a graduate of Bishop McDevitt HS is Glenside as well at the University of Delaware. After losing their oldest child at age 19 to a long battle with Leukemia, Pat and his wife Angie, along with their three children host a large bone marrow and blood donor drive in PJ's name. They also organize a team each year to participate in CHOP's Parkway Run in order to raise money for Children's Hospital of Philadelphia and pediatric cancer.